Please feel free to contact us. We look forward to hearing from you. Thank you for visiting our site, and you are always welcome to visit us at church. 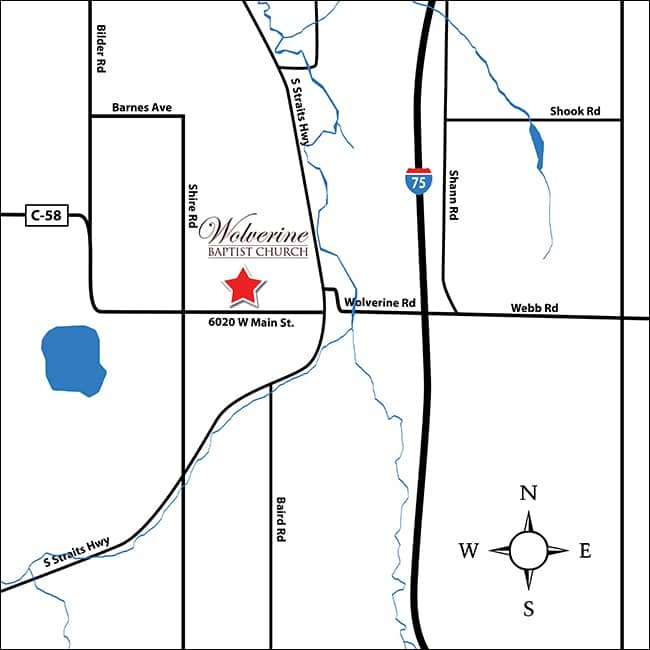 Directions: Off OLD 27, downtown Wolverine go West at the blinking red light onto Main St. (also known as Wolverine Rd), we are on the North side of the Street just before the gas station across the street.